Today, I sent the students a link to the Survey Monkey with the pictures that you see below to help them in their quest for the best of the books in Round 2. 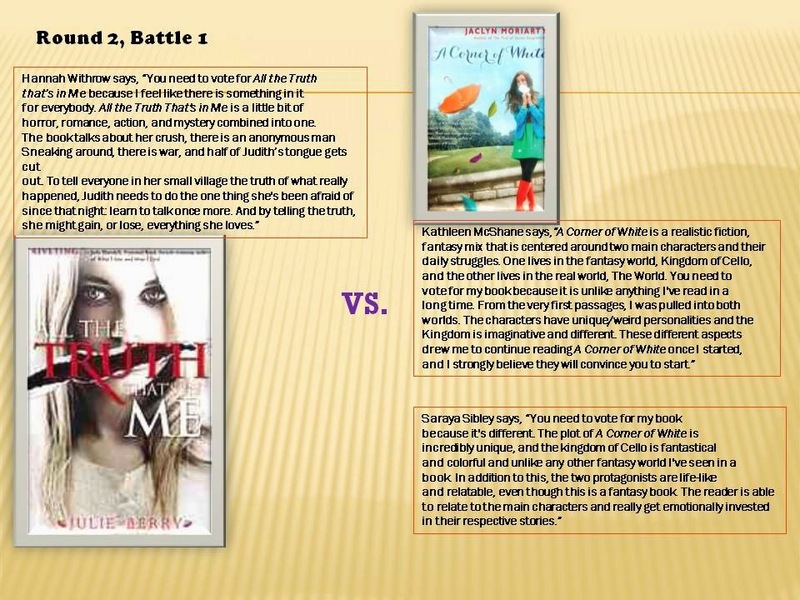 The students who defended the books in Round 1 gave me the blurbs to add to the pictures below. Just click on each picture to enlarge it to read what the students had to say. I think the students did a phenomenal job. 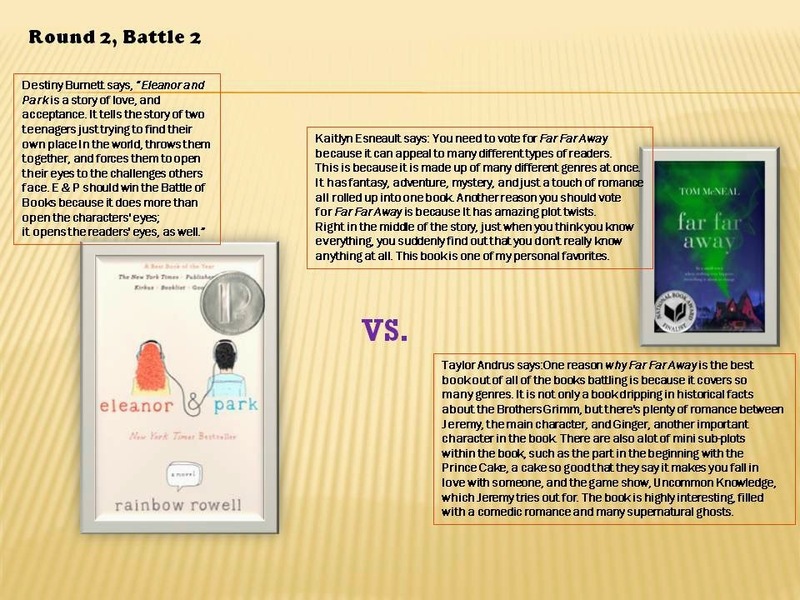 They gave just the right kind of info to try and sway their classmates to select their book as a winner. The poll will stay open until Monday the 24th. I will let you know the school's selections next week. I will also add the a link to the SLJ author judge decisions after they are posted next week. 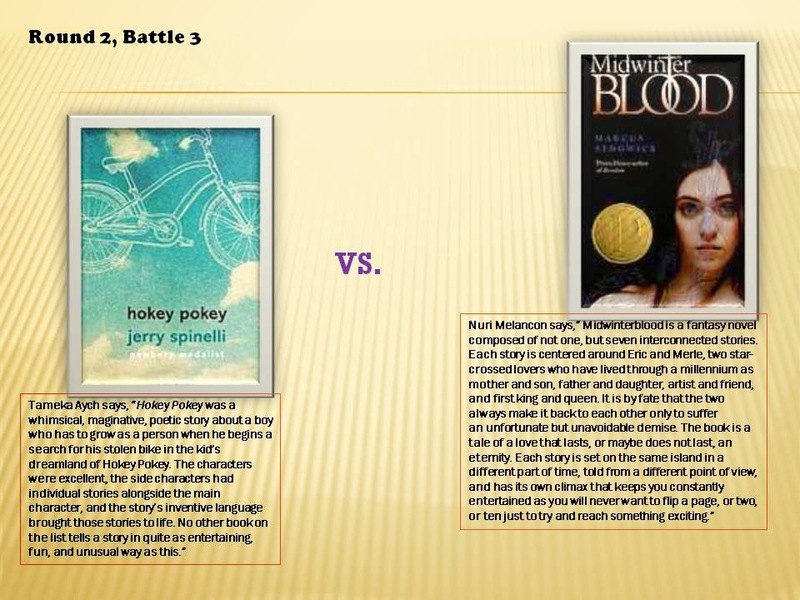 For Battle 1 of Round 2, our selections at PFTSTA did not match the selections of SLJ's author judges. 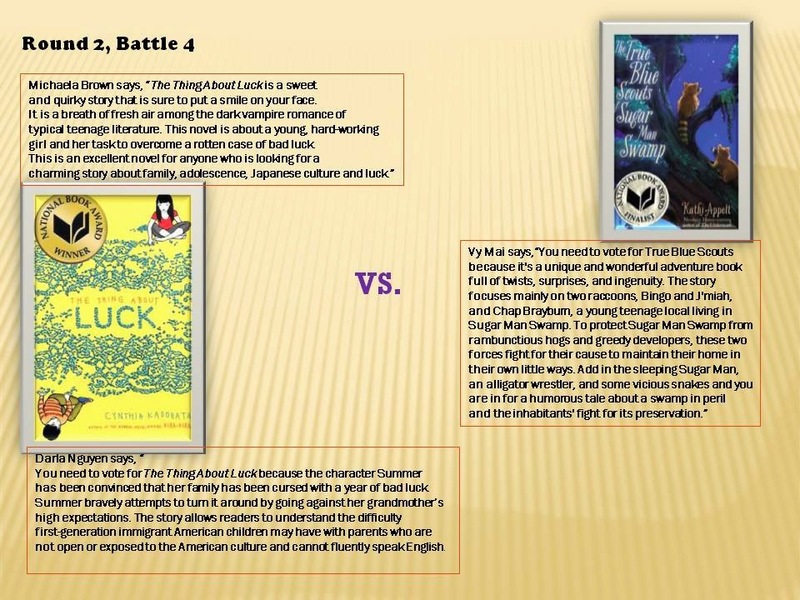 Tonya Bolden was given the task by SLJ for picking the best of two non-fiction works: The Animal Book and Boxers and Saints. 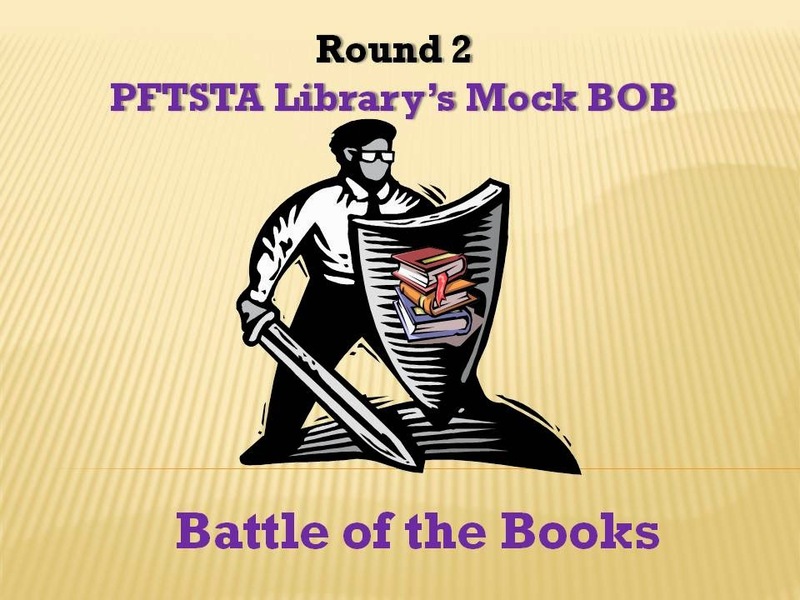 Though our student presenters of those books loved them, they could not convince everyone else to vote for their books-fiction won again at PFTSTA. To read Bolden's rationale for selecting Boxers and Saints as her best of this round, open here.